Simply email, call or walk to your human resources department and tell them you want to increase the amount that is taken out of your pay for your 401(k) plan. They will give you a form and you simply fill out your name, social security number and how much you want to increase your contribution. If you are lucky and have access to your 401(k) online, you can do this yourself when you log on to your account. At a minimum, you should increase your contribution by 1%. Ideally, go for more. If you received any raise at all this year, you will not notice a “smaller paycheck”. Heck, even if you didn’t receive a raise, the reduced paycheck you receive will be negligible. The benefit of even a 1% increase can be dramatic when you factor in the power of time and compound interest. Assuming you get a nice size refund from Uncle Sam each year as most do, you should change the withholding amount so that you get a smaller refund. The reason you should do this is because you are loaning your money to the government when you could be getting that money in every paycheck. Think about it: your refund is simply money that was taken out of every one of your paychecks over the course of the year. Wouldn’t you rather have the “extra” money in each paycheck? Sure it’s nice to get a big refund, but you would be better off getting a little more in every paycheck. When you are at human resources to increase your 401(k) contribution, tell them you want to change your withholding as well. They will give you a W-4 for you to change your number of allowances. Whatever your allowances were for the prior year, reduce the number by one. So, if last year you had two allowances and received a big refund, change to one allowance so that your refund is less and your paychecks are more. One word of caution however is to not do this if last year was special or this year will be different. By this I mean if you were single last year and are getting married this year, you will have to play around with your allowances to get them correct. Or, if you had a medical issue last year and wrote off more than usual, you probably don’t want to change your allowances. But if nothing has changed very much from the prior year to this year, go ahead and change your allowances. 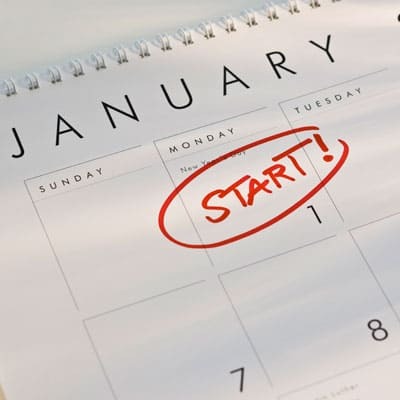 There you have it, two quick and easy resolutions that you should have no problem completing. In 10 minutes, you started to save more for retirement and increased your take home pay. Now just make sure you use any extra money in your paycheck to pay off high interest debt, build an emergency fund, or invest in the market for your future. Congratulations on meeting two goals for the year! 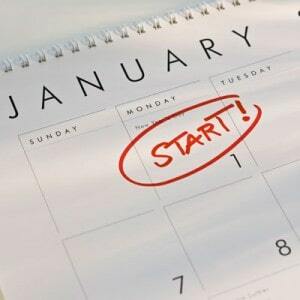 Now use this as fuel to meet your other resolutions for the year! Good tips, Don, and I agree that most folks should do these two things. That being said, however, I can’t even count how many people I’ve known over the past several decades who use Uncle Sam as an automatic savings account. Considering the abysmal interest rates on regular savings (my bank paid well under $10 on over $15k in 2012), it’s really not a bad way for someone without the self discipline to save money each month to save up for a big purchase each spring.